Features: Telescoping three-piece steel ball-bearing suspension; Core-removable lock; High-side drawers accept hanging file folders; Meets or exceeds ANSI and BIFMA Standards; Counterweight inhibits tipping; Contains 30 percent total recycled materials. Specifications: Overall Product Dimensions: 21.75" H x 15" W x 19.88" D; Overall Product Weight: 55 lbs.. 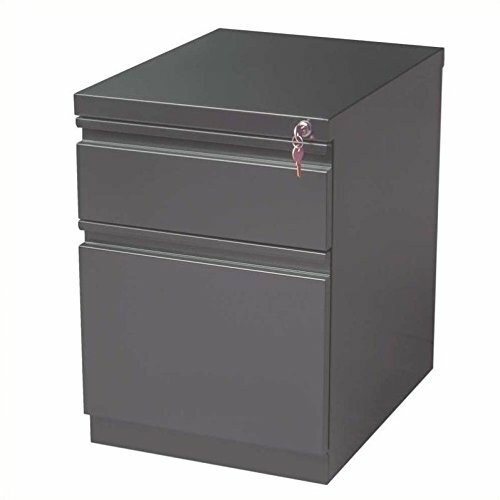 Overall Product Dimensions: 21.75" H x 15" W x 19.88" D; Overall Product Weight: 61 lbs.